Toronto Dogs Directory: On June 25 and 26 Come Visit Canada's Largest Free Outdoor Pet Festival! 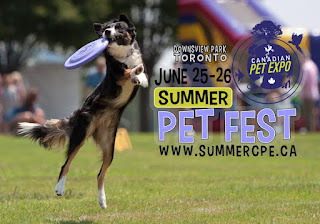 On June 25 and 26 Come Visit Canada's Largest Free Outdoor Pet Festival! Canadian Pet Expo would like to formally announce our SUMMER PET FEST at Downsview Park’s Festival Terrace! 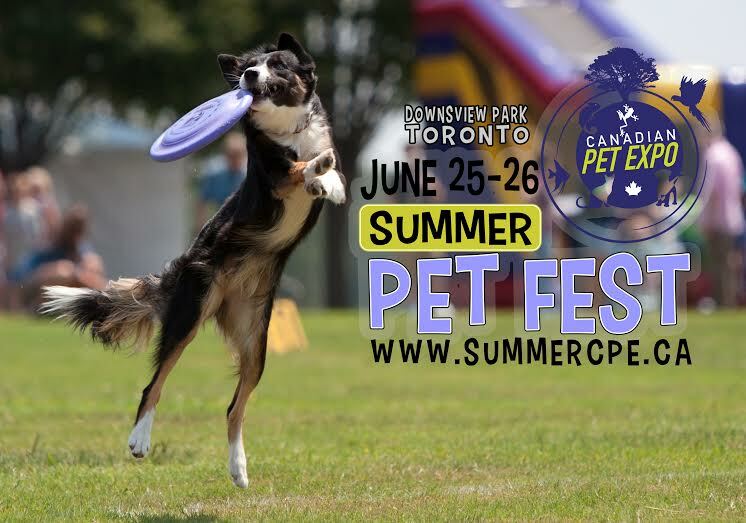 The SUMMER PET FEST is set to be Canada’s largest FREE outdoor pet festival sprawling over 8 acres of Toronto’s finest parkland, a perfect setting for pet product exhibitors, family and pet activities, and all the summer fun pet lovers can handle, in one convenient location. FREE PARKING for the entire weekend! 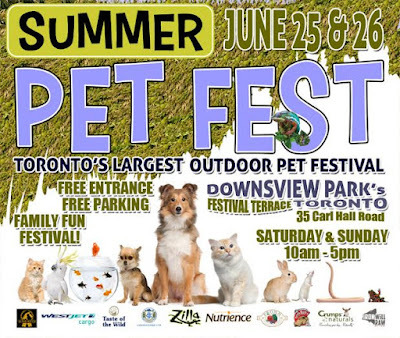 SUMMER PET FEST DETAILS: Downsview Park’s Festival Terrace, 35 Carl Hall Rd, North York, ON M3K 2B6.